Ezetimibe comes in tablet form and should be taken as directed on the package and by your doctor. 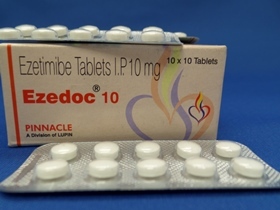 Ezetimibe is available in a single dose of 10mg. You should store Ezetimibe in a cool dry place away from direct sunlight. Only use Ezetimibe as directed by your doctor, and never exceed the stated dose.